Well, I finally did it. 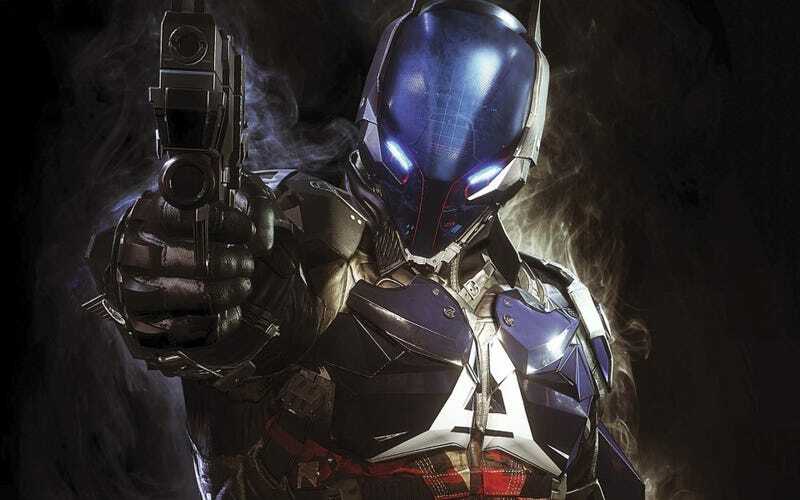 I finished Arkham Knight. Every objective done. Every baddie put away. All 243 Riddler challenges complete. It took a bit of work, but I’m now done with the game and ready to move on to the next title in my backlog: Far Cry 3 Blood Dragon. So, in the past week I finished off the final 5% of the game I had left. First of all, there were the last two Militia bombs to defuse. I’d had some difficulty with these last two, but a couple of Batmobile upgrades and some time spent strategizing made the difference. That led to finally being able to fight Deathstroke. I have things to say about the Deathstroke fight. Let me start off by saying the fight against Deathstroke in Arkham Origins is one of the best parts of that game. It was super difficult and had really tight mechanics. With that in mind, this rematch with Deathstroke was very underwhelming. It was just another tank battle like the one against the Arkham Knight, just a little easier. I literally just took out all the Cobra tanks then kited Deathstroke’s tank around the same building until I blew it up. Then cut to awesome cutscene of Batman and Deathstroke launching out of their tanks at each other ... and then the Dark Knight KOs him in one punch. Even the cutscene was anticlimactic. Such a wasted opportunity. With that done, the only thing left was the remaining Riddler challenges. Last week I ended with 133/143 done, so I just spent a few hours going around getting those last 110. Overall, there was only about 7 total that I needed to look up, so I think I did pretty good. Once that was done, I could finally fight Riddler. Unlike the Deathstroke fight, I found this one to be quite enjoyable. The team takedowns in this game are so fun, and the mechanics with the robots that require you to swap back and forth between Batman and Catwoman provided some interesting depth to the fight. So, was completing all 243 of those challenges worth it? I’d say so. It was a fun fight, and the cutscene after it was pretty good. I could have activated Knightfall sooner, but I liked getting everything done. Speaking of Knightfall, the final cutscene of the game was pretty interesting. Not quite sure what was up with that final shot, though. So yeah, game completed. Now, I know there’s new game plus and achievements, but The Completionist I am not. Seeing that 100% next to my save file is good enough for me.